We recently went to see a beautiful exhibition celebrating French Fashion at the Museum of Fashion Institute of Technology. It's on until April the 15th and we urge all fashion lovers to go and enjoy it. Paris Refashioned, 1957-1968 Exhibition examines the significant role that Paris played during one of the most fascinating and groundbreaking periods in fashion history. It's indeed in 1957 that 21-year-old Yves Saint Laurent was made creative director of the esteemed couture house of Christian Dior. His first solo collection for Dior included his A-line “trapeze” dresses, ushering in an unmistakable shift toward more relaxed and ultimately more youthful designs—and with it, dramatic changes to the couture fashion industry. 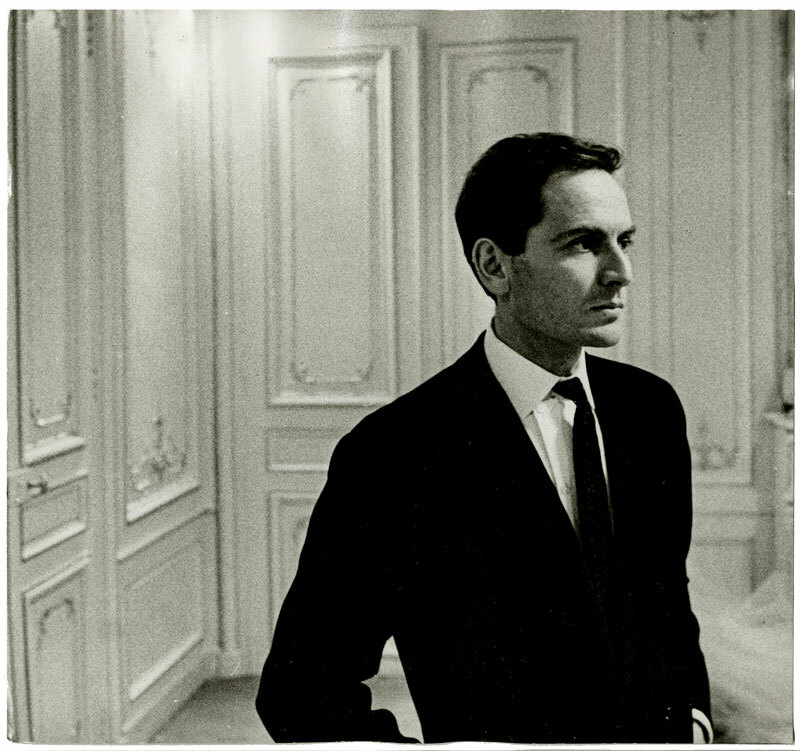 By 1963, a group of young French ready-to-wear designers known as the stylistes had begun to make an impact on fashion both in their home country and abroad. Their of-the-minute fashions, which were favored by style arbiters such as Brigitte Bardot, presented an unexpected challenge to the more staid, costly, and labor-intensive creations of the couturiers. By 1968, some of the best-known couturiers—including Saint Laurent, Pierre Cardin, and André Courrèges—were presenting ready-to-wear lines in addition to their couture creations. Paris Refashioned is examining the shift from the unassailable dominance of the haute couture to the newfound influence of ready-to-wear. Saint Lauren’s use of color blocking enlivens the otherwise simple design of this shift dress. Over the course of his career, the couturier has kept an interest in color blocking. A dress from his color blocking collection in on view in the exhibition. Hubert de Givenchy excelled at finding a balance between youthful vivacity and classic chic, exemplified by this short, simple sheath dress with embellishment at the hip. 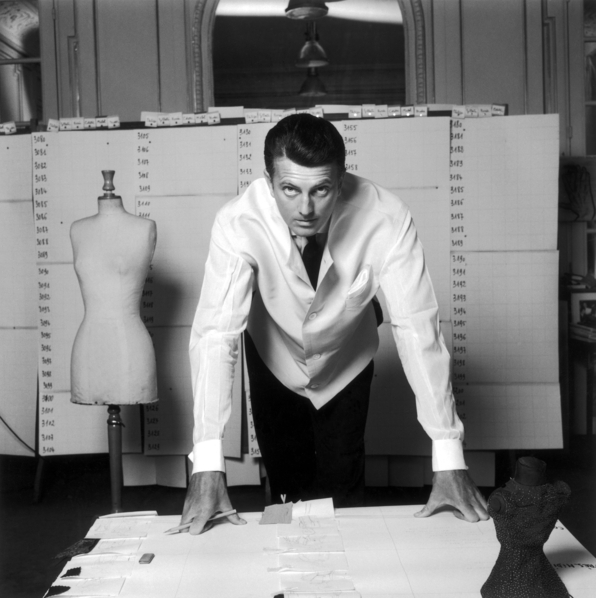 Hubert de Givenchy, Couture cocktail dress, 1960. The ensemble hinted at the designer’s futuristic fashions to come. The exhibition opens with a selection of couture garments, arranged in a setting inspired by an opulent salon. The exhibition’s introductory gallery includes a selection of more than 30 haute couture garments and accessories dating from 1957 to 1960. Berets are Back! Frenchly said so!